ARE you a teenager who feels a sense of injustice about an issue affecting your age group but feel powerless to do anything about it? Do you want to hold your public representative to account but don’t know how to do it or where to start? A new website has been launched that’s offering a voice and platform to young people between the ages of 14-18 to help them engage and influence public servants who have control over key issues in their lives. WIMPS (which stands for ‘Where Is My Public Servant?’) is a project run by and for young people as a way of making politics more relevant to that age group. Via the WIMPS website (www.wimps.tv) you can look up who your elected reps are from local council level to European level, you can start up your own campaign and receive free expert advice and guidance on how to bring it to the attention of key public figures. The project was first started in 2004 by the youth-focused civil education programme, Public Achievement after meetings with local MLAs at the Northern Ireland Assembly. “I got speaking to Monica McWilliams, the then leader of the Women’s Coalition, and she told me that she was never contacted by young people,” explained Paul Smyth, Director of Public Achievement. Initially, Public Achievement created their own database until 2004 when they were offered funding by the local voluntary youth network Youthnet NI to redesign the database to include a youth-friendly website. “The budget allowed us to bring a group of young people via our Public Achievement contacts from across Northern Ireland who, along with a team of web designers, helped to build the site and come up with a name for it – WIMPS,” explained Paul. A lack of public funding meant the website struggled to keep up with advances in web technology until a fresh injection of money came at the end of last year from Atlantic philanthropies. The funding boost allowed the WIMPS team to “build the site of our dreams” which was unveiled at a special launch ceremony in Parliament Buildings recently. “It’s an incredible site and we’re only scratching the surface now of what we can do now,” said Davy Sims, Head of Social Media with Public Achievement. As well as allowing young people to start campaigns from scratch via its website, WIMPS facilitates the work of ‘WIMPS Crews’ which are teams of young people the project trains up in journalism, media production and campaigning. Already the WIMPS crews have started several campaigns on issues such as allowing over-16s to vote and ending paramilitary shootings. “We have a number of news crews that have just started based in South Belfast, Craigavon and Banbridge and we have some other groups that will start soon in Derry,” said Davy. 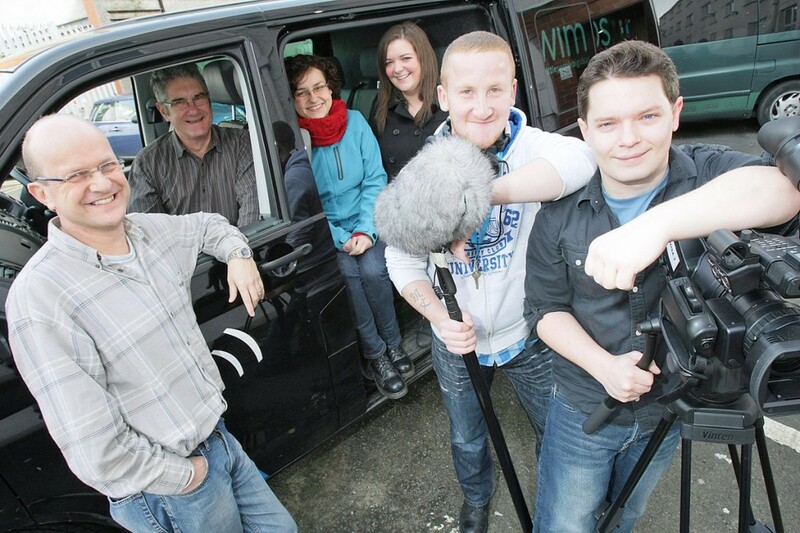 The WIMPS crews also offer support to young people in their area that have started a campaign via the WIMPS website. “The local WIMPS crew will be able to help any groups or young people to work on issues and campaigns,” said Davy. The WIMPS project is so well known that most of the MLAs have been interviewed for the website. “We have incredible access to MLAs and we are extremely appreciative of that,” said Paul. If you would like to get involved in WIMPS or learn more about its work, visit www.wimps.tv.